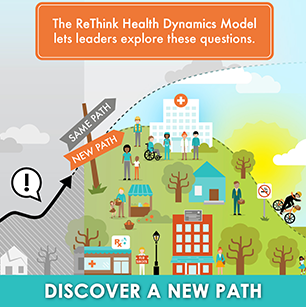 The ReThink Health Dynamics Model is a regional health system in a computer. 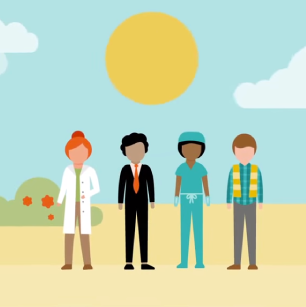 By simulating how a health system responds to changes, it lets leaders like you see which investments will do the most to save lives, reduce costs, improve quality, enhance equity, and boost productivity. The model can help you discover a new path to system transformation. It lets you ask “what if” questions and get the results instantly to see how various strategies are likely to unfold. 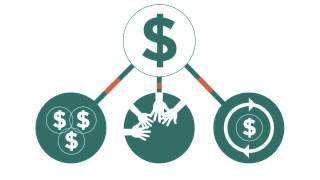 With a diverse menu of initiatives and financing options, everyone can test their own ideas and track results across scores of measures. Designed by an award-winning team of MIT-trained system modelers, the RTH Dynamics Model brings together decades of evidence and is regularly updated to reflect the latest research and input from users. This paper uses the ReThink Health Dynamics Model to simulate the impact on health of possible policy reversals under a Trump Administration in four key areas: health insurance, economy, environment, and crime. This "Health Affairs" article describes how the ReThink Health Dynamics Model was used to identify a scenario that could reduce healthcare costs by as much as 14% and chronic illness by as much as 20%, and increase workforce productivity by approximately 9% beyond where they would otherwise be by 2040. Learn how virtually every aspect of the American health system—including measures of population health, care, cost, equity, and economic productivity—can be improved by making well-informed decisions about where we invest and how we finance those efforts over time. decisions about where we invest and how we finance those efforts over time.